All EID tag and age verification information MUST be sent to the ABBI office in Pueblo. The ABBI Board of Directors has approved the establishing of a Veterinarian Advisory Board. This Board will determine the qualifications for a Veterinarian to become Certified by the ABBI. The guidelines for Veterinarians will be available within the next several month. Watch the website for details. Please contact the office at 719-242-2747 if you have questions regarding locating a Vet for EID and age verification. Thanks. 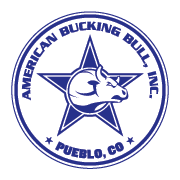 Phone: 719-242-2747 Fax: 719-242-2746 Copyright 2007 American Bucking Bull, Inc. All rights reserved.